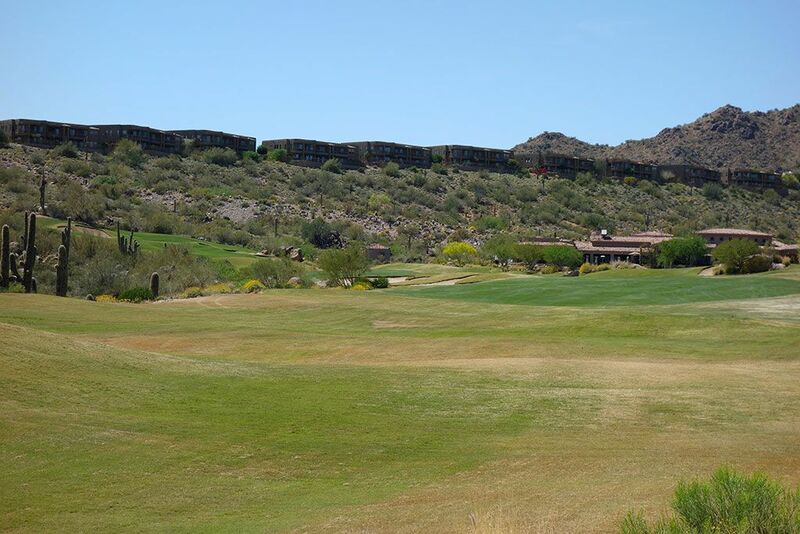 Course Website: Official Website - Visit SunRidge Canyon Golf Club's official website by clicking on the link provided. 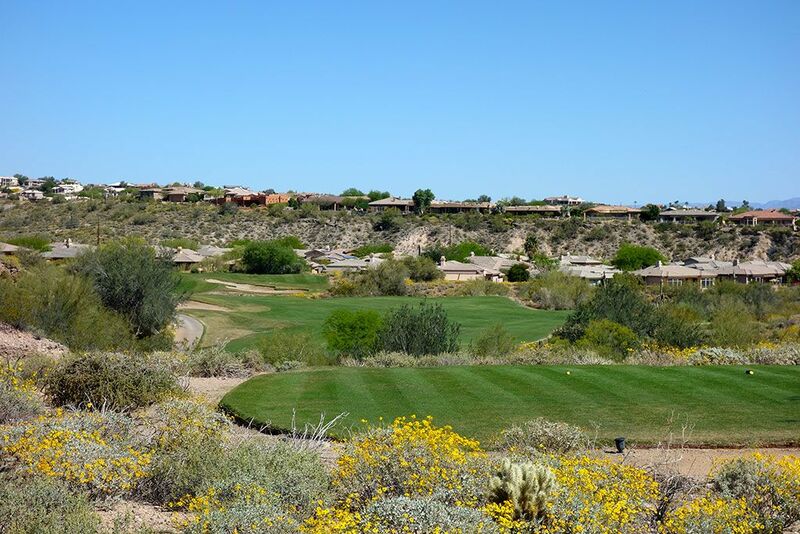 Accolades: Ranked 19th in Arizona on Golf Course Gurus' Best in State list. 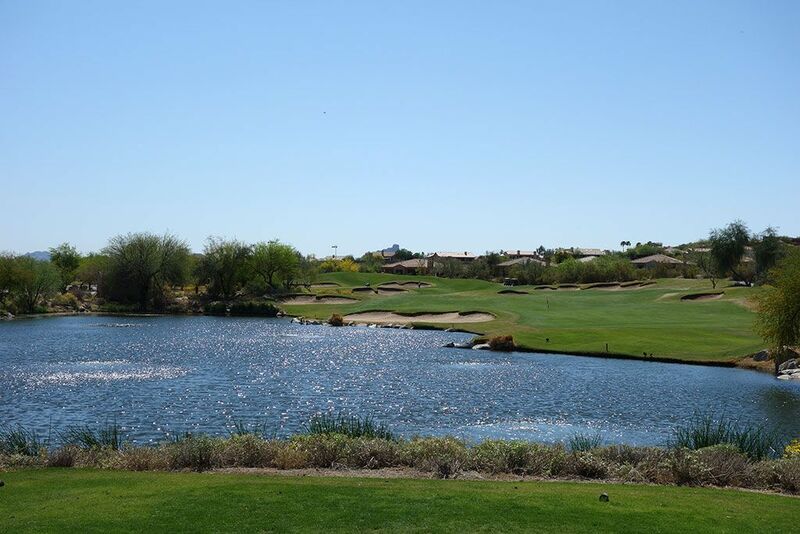 What to Expect: SunRidge Canyon is located 30 minutes northeast of Phoenix's Sky Harbor airport in the upscale community of Fountain Hills near Scottsdale. This Keith Foster layout was better than I was expecting for a course that seems to fly under the radar considering the plethora of courses available in this winter destination. 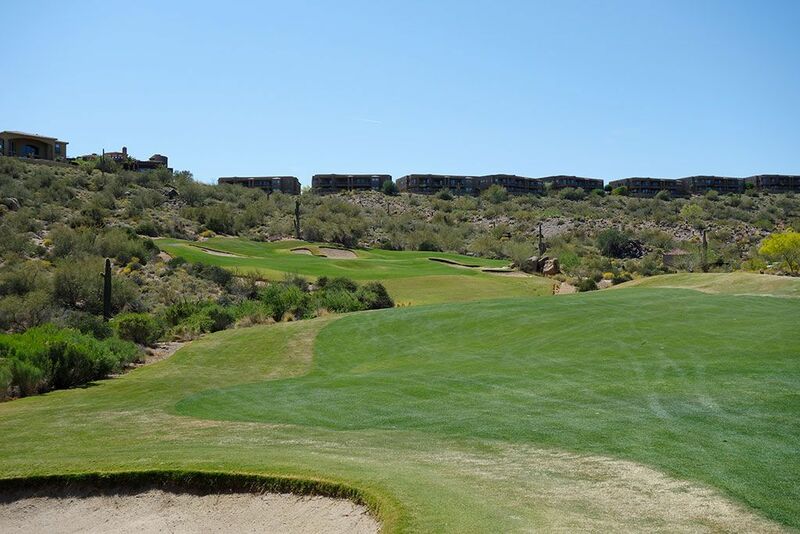 The terrain enjoys a nice mix of uphill and downhill shots while the undulated fairways and greens will require your focus all day long. 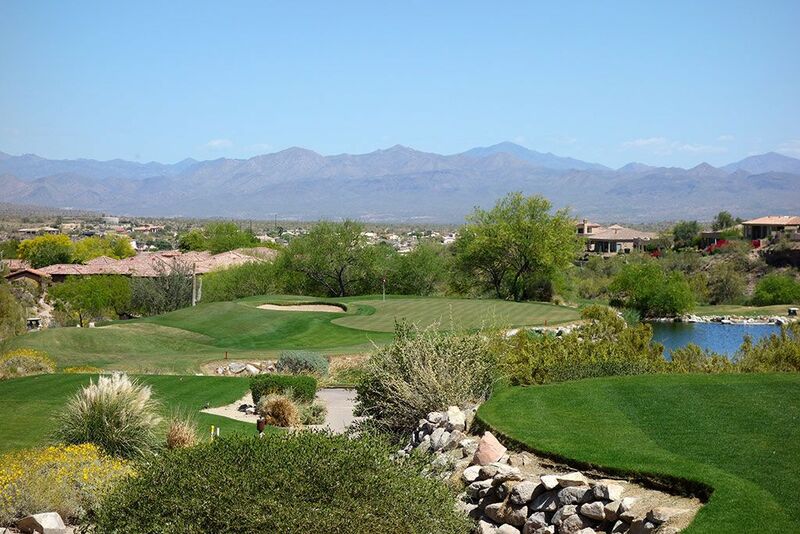 Views throughout the course are eye-catching and expansive which adds to the pleasure of the round. 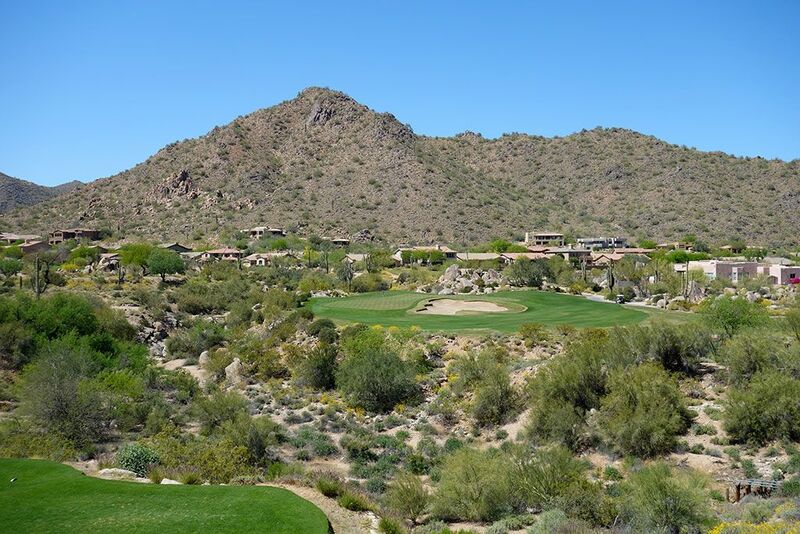 The conditioning is solid but not as elite as We-Ko-Pa or Troon North which seem to set the standard in Arizona's desert. 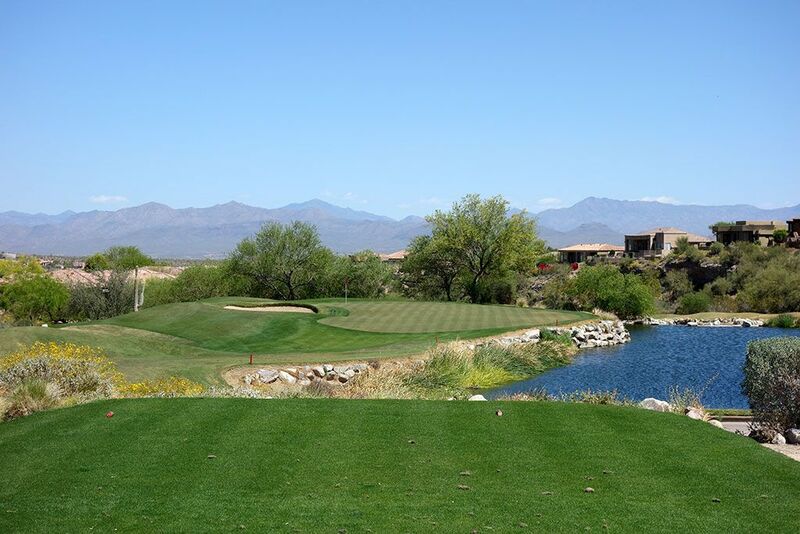 The course is best known for its final six holes which are appropriately named the Wicked 6. Consisting of two par 3s, two par 4s, and two par 5s, the Wicked 6 plays uphill and into the prevailing wind on the driver holes while the one-shooters contend with water on the 14th and the biggest bunker on the course at the 17th. While this closing stretch is a virtual bogey factory, the wide fairways and large greens help ensure that it isn't an unfair test to face. The Wicked 6 Bar and Grill is one of the nicer restaurants to be found at a public facility and the type of spot non-golfers would enjoy coming to dine as well. Signature Hole: 14th Hole – 181 Yard Par 3 – The most attractive hole on the Wicked 6 is this one-shotter featuring a green flanked by water on the right and a bunker on the left. 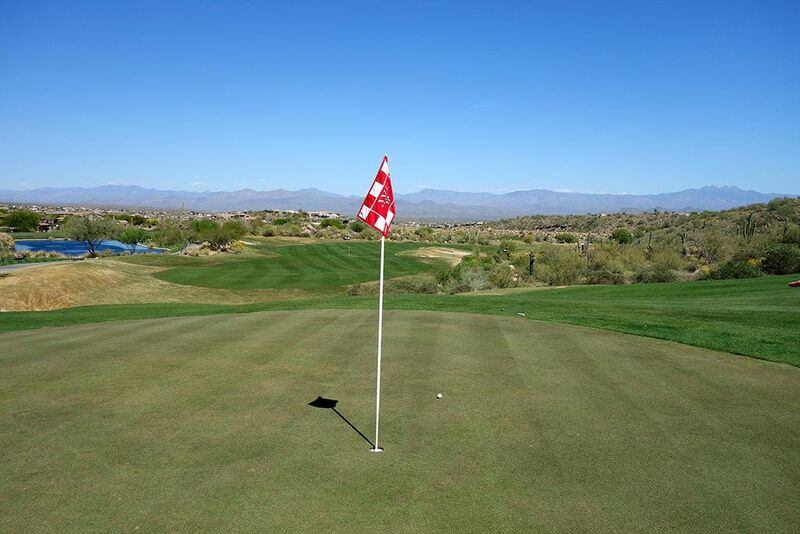 The kidney bean shaped green is relatively large but the subtle sloping in the putting surface can lead to some knee knocking five footers for par. Best Par 3: 17th Hole – 209 Yards – One of the more visually impressive holes on the course is this par three that plays to a green shaped like a PlayStation controller and is fronted by the largest bunker on the course. A large mountain peak towers in the background the tiered putting surface is quite to yield three-putts. Best Par 4: 7th Hole – 373 Yards – Not long, the 7th hole requires accuracy more than length to conquer. 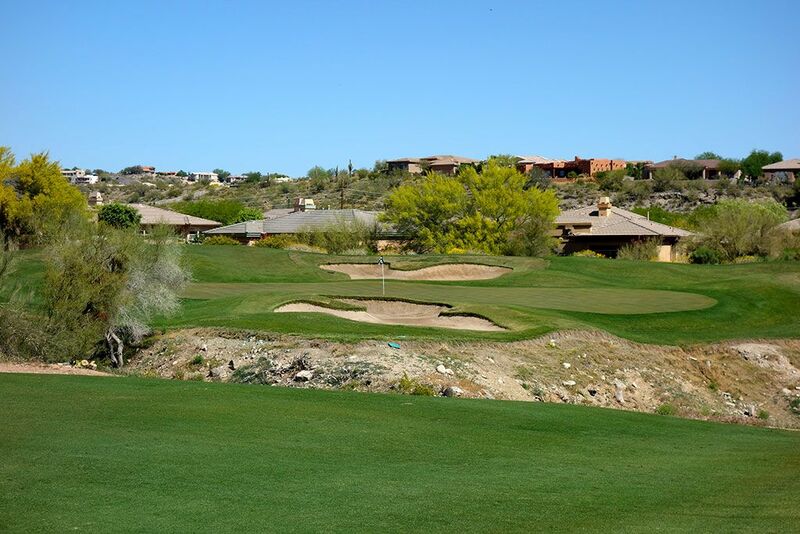 This dogleg left features a ravine in front of the green that must be carried on the approach shot in order to avoid taking a penalty stroke. Players looking to shorten this hole can take their drive over the bunker on the left and leave themselves a short wedge shot into the green. Best Par 5: 13th Hole – 578 Yards – The opening hole to the Wicked 6 plays uphill and into the prevailing wind the entire way home. 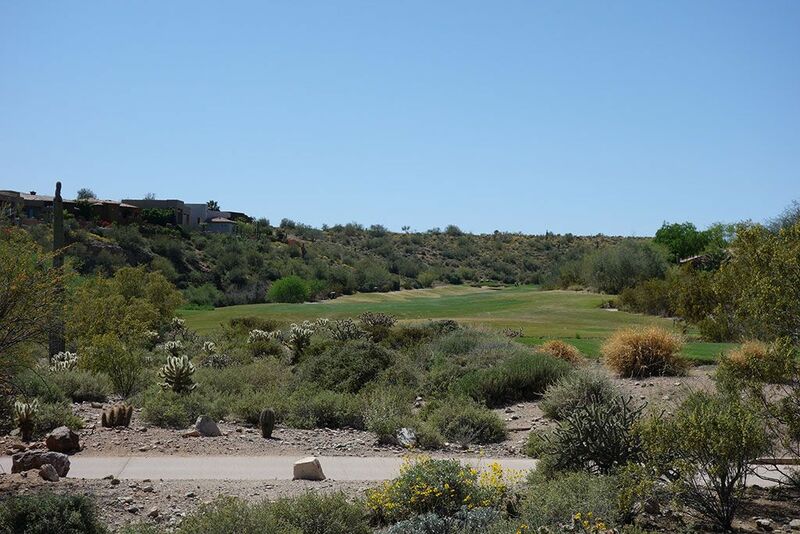 The first fairway terminates at a desert wash with the second fairway terminating at the green with a pair of ponds framing the right side of the fairway. A large bunker fronts the left side of the green and poses a significant threat to recover from if you end up in it. Birdie Time: 10th Hole – 308 Yard Par 4 – At just 308 yards, the 10th hole provides a great opportunity to kick off the back nine with a birdie. The pond in front of the tee isn't in play except for the worst of shots while the collection of eight bunkers found throughout the hole stand as the biggest obstacle to avoid while trying to card a three. With a scoring club in your hand you should be able to throw a dart at the shallow green that offers plenty of width to utilize on your approach. You need to take a good score here with the Wicked 6 coming your way soon. 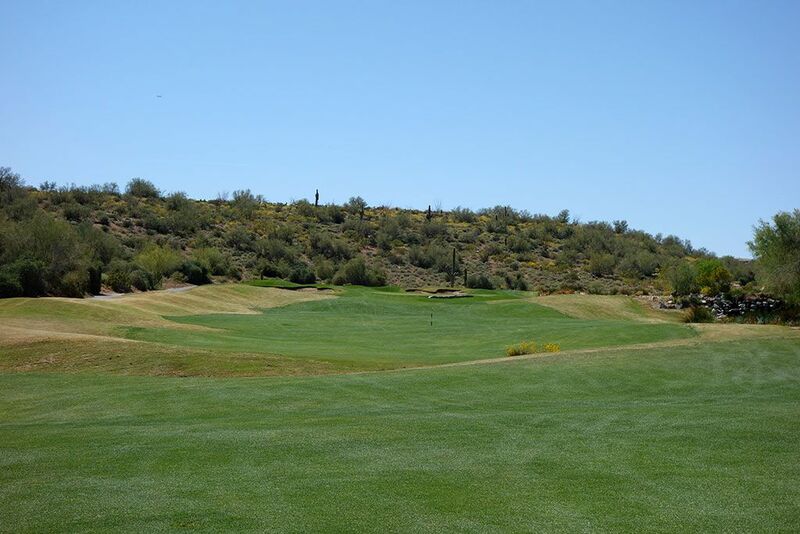 Bogey Beware: 18th Hole – 432 Yard Par 4 – The closing hole of the Wicked 6 is the toughest of them all. The distance doesn't seem that intimidating, but when you factor in the uphill climb and the proverbial headwind, this hole plays more like 500 yards. The forced carry approach contends with several bunkers and an awkward green thus yielding very few greens in regulation. When all is said and done, bogey is a pretty good score here.